Raed Abubadawia, a Palestinian-French law professor at Al-Najah University in Nablus, was abducted from his home at 2:00 AM by Israeli military forces. He was taken to Petah Tikva for interrogation, and his detention has been extended until Monday, October 6. Patrick Le Hyaric, French Member of European Parliament, is advocating for the release of Abubadawia, and has called upon the French Foreign Minister, Laurent Fabius, to intervene in the case. Abubadawia, 41, is a graduate of the Centre for Diplomatic and Strategic Studies in Paris. 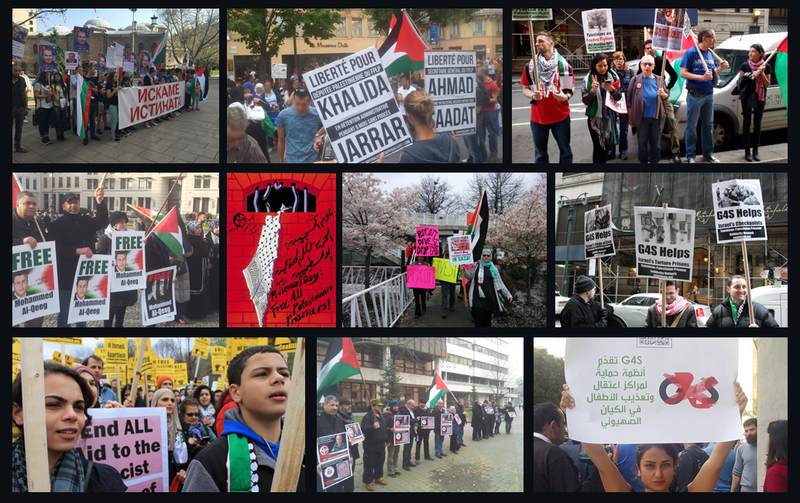 He has been denied lawyer visits and consular assistance, and solidarity activists and Palestinians in France are mobilizing in support of his case. The Facebook page: Soutien à Raed has the latest news and updates on this important case. The interrogation and detention center in which Abubadawia is being held is notorious for torture and abuse, as noted by the Platform of French NGOs for Palestine. Salah Hamouri, former Palestinian political prisoner, is also a Palestinian-French citizen. His family and solidarity advocates struggled for years for his release, which finally came with the Wafa al-Ahrar prisoner exchange, while the French government ignored numerous mobilizations and demands for their assistance in freeing Salah. 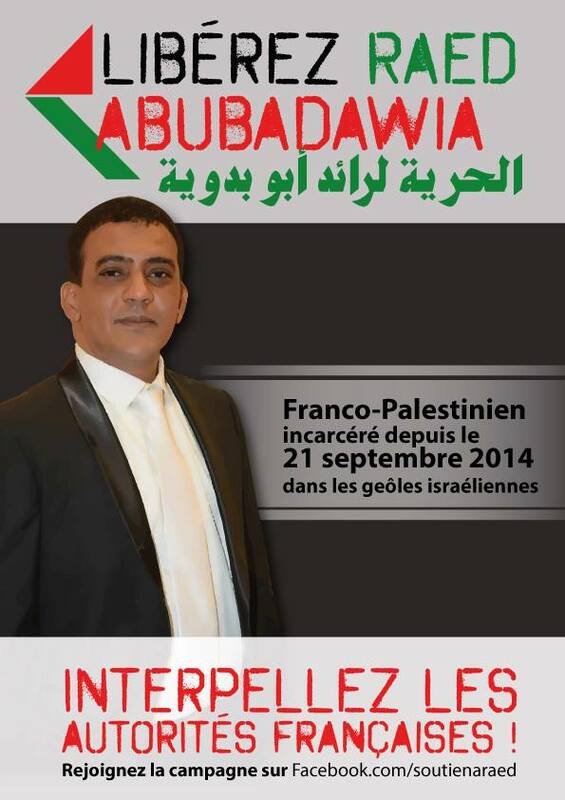 Many French activists worry that Abubadawia’s case has the potential to become another lengthy miscarriage of justice, with the victim losing years of his life, as happened to Salah Hamouri. Nasrin Akhres, Abubadawia’s ex-wife and the mother of his three daughters, has been actively speaking to independent and mainstream media, advocating for immediate involvement of the French government to release her ex-husband from Israeli military detention.